We hear about a lot of breast cancer awareness campaigns in October, but this one is by far my favorite. For the second time, Mionetto has launched Pink Cork for the Cause, a campaign that supports breast cancer research and treatment. 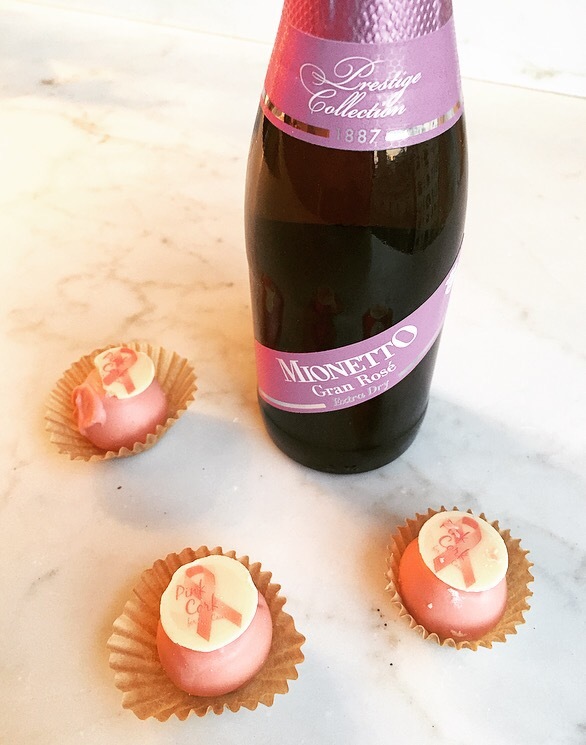 The fun part is that if you find one of the 125 pink corks in Mionetto Prestige Prosecco Brut or Mionetto Prestige Gran Rosé (both $14), you win a pink 5-speed hand mixer and a chance to donate $10,000 to a breast cancer charity. I visited the Mionetto winery last year and got to taste a bunch of their sparkling wines made from Glera grapes. These two bottles are both good values at $14, so it’s a great Prosecco option whether you like regular or rosé (which adds some red grape varieties to get the pink color). To go with your Prosecco, they also made these delicious Speculoos Truffles that taste like gingerbread and are dipped in pink chocolate. The truffles are available all October and a portion of the proceeds will go to breast cancer charity. You can pop away and hunt for one of the pink corks, or you can also enter the sweepstakes here. Tags: glera, Prosecco. Bookmark the permalink.